Today I’m pleased to welcome Cathy West! Tell us a bit about yourself beyond who you are as a writer. I was born and raised on the beautiful island of Bermuda, where I still live. Being a small island, it tends to get a little too small after a while, so I do love to travel. I’m a wife, married 25 years to my pediatrician hubby, and I’m Mom to two wonderful children who are sadly away at college, so I don’t get to see them nearly as often as I would like. 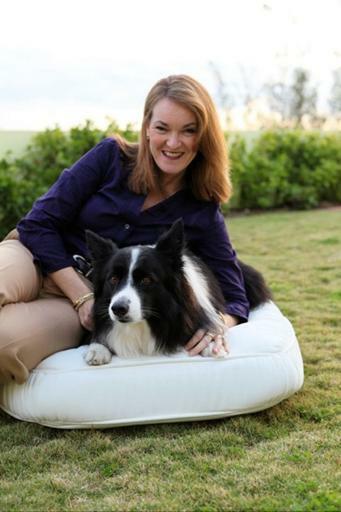 I’m a dog lover and own a three year-old border collie named Noah, who really keeps me busy! I love gardening and hanging out with friends and family. How did you come to be a Christian writer? I started out writing for the secular market. I didn’t really even know that Christian fiction existed. I think the first Christian book I ever read was Deb Raney’s A Vow To Cherish, and it was shortly after that when I re-dedicated my life and knew that I wanted to devote my talents to Him, so it was pretty much a no-brainer. It hasn’t been an easy road but I’m learning (slowly), that it was the right decision for me, and writing for the CBA is where I am meant to be. Hmm. Aside from my mom dying, which was incredibly difficult, but expected and a blessing in many ways, as she was quite ill, I think my greatest challenge was deciding to search for my birth family. I really didn’t know what I was getting into, so of course I proceeded with much prayer and went forward with the support of my family. It was a very difficult time in my life and I went through enormous emotional upheaval, but God was faithful and He brought me through it all. I learned to rely fully on God and ‘lean not on my own understanding.’ I believe my faith is much stronger because of this experience. He also performed a couple of miracles along the way and gave me a sister whom I am blessed to have a wonderful relationship with, so it all worked out well in the end! That’s awesome! So what do you like to read? What are some of your favorites that you have read? I love to read! I read mostly romance and women’s fiction, CBA and ABA, and lately I’ve read a fair bit of historical fiction, which I’m enjoying. I recently finished The Language of Flowers, by Vanessa Diffenbaugh, which was really good. And Heiress, by Susan May Warren, LOVED that book and can’t wait for the next in the series! All time favorites would have to be Gone With The Wind, by Margaret Mitchell, all the Barbara Taylor Bradford books, The Forgotten Garden, and The House at Riverton by Kate Morton (love her), and anything by Jane Austen. Do you have a quote or saying that’s extra-special to you? ‘I can do all things through Christ, who strengthens me.’ Philippians 4:13. I’m working on putting together a plot for a new story. This is always the hardest part of writing for me. Once I get something cohesive written down, it seems to come together. I’m also doing some revisions on a manuscript that my agent will be shopping in the near future, called Reprisal. Cool. So what other projects do you have already out? 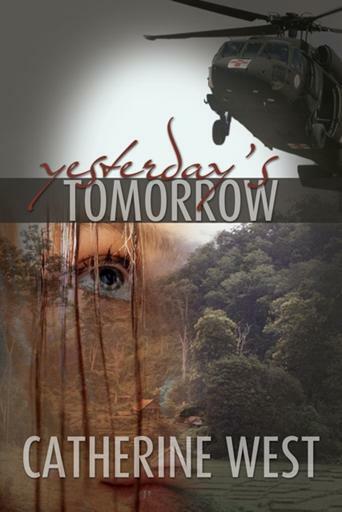 My debut novel, Yesterday’s Tomorrow, released in March 2011, through OakTara. I have a second novel, Hidden in the Heart, which will release this year, also through OakTara. I recently began a new blog venture called This Is A Blog About Books, where the focus is on…what else…books! It’s a place where I hope readers, writers and reviewers can gather and learn and share with one another. I hope you’ll check it out! This review is going to be difficult for me to condense into a few paragraphs. There were so many things I loved about this book. I was talking to my aunt about how I was alive during the Vietnam War, but it wasn’t talked about much when I was growing up. It was like people wanted to forget it ever happened. I’ve met a number of Vietnam Vets and none of them wanted to talk about their experiences either. So while I wasn’t sure if I’d like this book or not because of the subject matter, I decided to try it anyway because it was a debut novel. Well, I am so glad I did because it far exceeded my expectations. When I read a book I want to get lost in the story. This book did that for me. When I read a book I want to care about the characters. This book did that for me, too. I loved the people and the relationships between them. I loved the emotion and the fact that the author wasn’t afraid to let her characters deal with some difficult challenges. I got tearful a number of times and had to refrain from crying in the airport (I didn’t want people to wonder why I had tears rolling down my cheeks.) All I wanted to do was read the book until I finished it, but I had to go out of town, so when I got a chance to finish the story I picked it up again and stayed up until I read THE END. Did I mention that I loved this book? My emotions soared. I felt like I understood the characters when they had PTSD symptoms. I don’t want to give away any spoilers, but toward the end I was practically biting my nails wondering what would happen to them. This novel satisfied me in every way. I never thought a love story set in Vietnam would have such a powerful impact on me that I would keep thinking about the story even after I finished it. There were so many good nuggets of truth in the story. The faith message was believable, and the love story was incredible! I am definitely going to read another book by this author. Not only is her prose beautiful, but her pacing is perfect and her romantic tension is written exactly the way I like it. A very satisfying read, and just edgy enough to be compelling without being overly done. In fact, though I really hate to part with this book, I told my aunt she MUST read it because I can guarantee she will not only love it, but will spread the word about the story, too. This book is worthy of that kind of buzz. Yesterday’s Tomorrow was published by OakTara and released in March 2011. OakTara Publishers. Catherine’s next novel, Hidden in the Heart, will be available in the near future, also through OakTara.